A high-end vacation in Greece is within reach even if you don’t have a big budget, says Christos Stergiou, the founder and owner of TrueGreece, an Athens-based travel company selling luxury trips to Greece. “Compared to many other European countries popular with travelers, Greece is affordable, and it’s possible to have a very upscale vacation here without blowing the bank,” he said. Here, Mr. Stergiou’s insider tips on how to get luxury for less on a Greek holiday. GO OFF THE BEATEN PATH Skip Mykonos, Santorini, Athens and other tourist-heavy spots within Greece, said Mr. Stergiou, because they are pricey and overcrowded. Instead, hit the country’s lesser known and more affordable gems such as the islands of Paros and Naxos or a city like Thessaloniki. In these less popular destinations, rooms in top hotels don’t run more than a few hundred dollars a night, sumptuous meals with wine cost less than $40 a person, and activities and tours are reasonably priced. “You save a lot of money and also get a more genuine sense of the country because you’re surrounded mostly by Greeks,” Mr. Stergiou said. 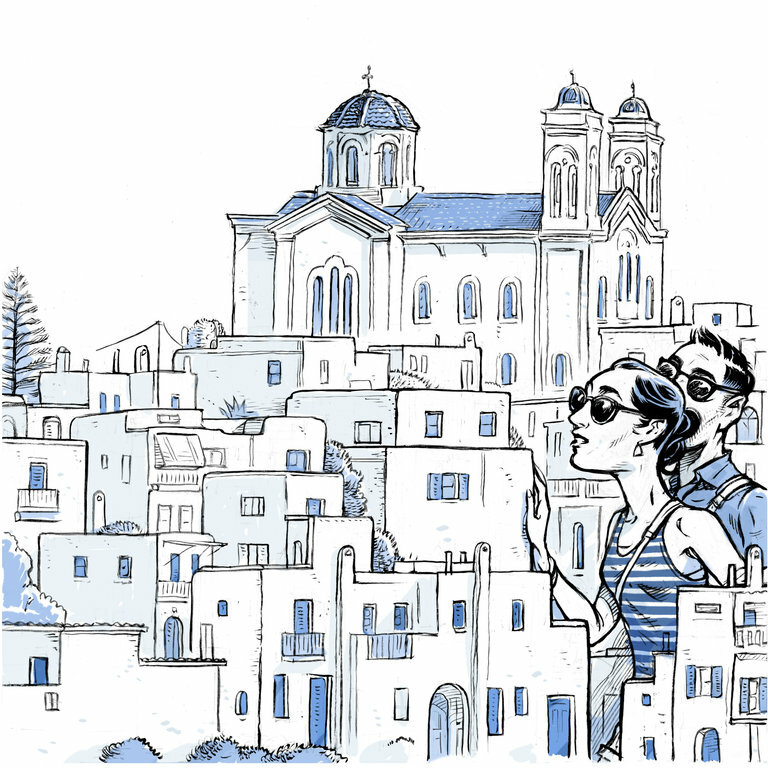 PICK YOUR ACCOMMODATIONS WISELY AND BOOK AHEADIf you’re traveling as part of a group of six or more people, renting a spacious villa on a Greek island with a staff, a pool and other bells and whistles will be less expensive — by as much as 30 percent — than booking individual hotel rooms. TrueGreece, BookNDream and The Greek Villas are a few companies that offer villa rentals. If you’re staying at a hotel, Mr. Stergiou said smaller, independently owned properties are more affordable than chains or large resorts. And he encourages booking your hotel six to eight months in advance of your trip because many Greek properties offer early booking discounts.